First, you’ll want to go to the Quays because it’s seriously beautiful inside. 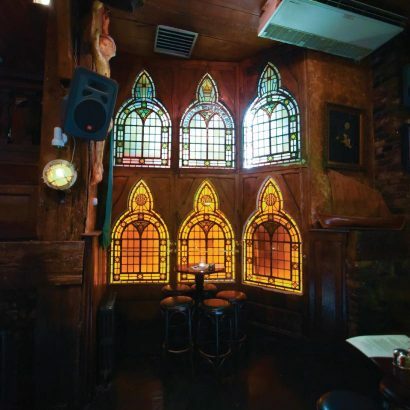 Stained glass windows and Gothic archways, imported from a French church, give it a unique look. It’s a bar that feels at once intimate and sprawling. 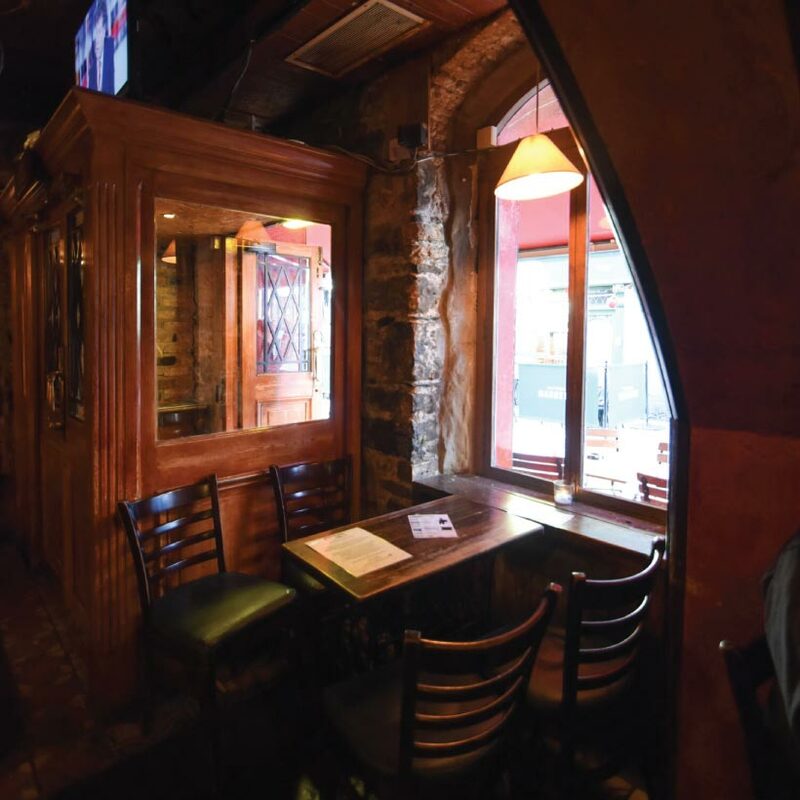 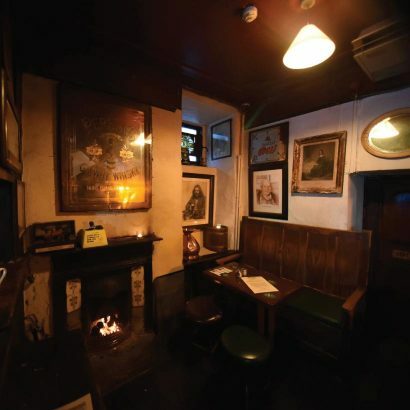 There are plenty of nooks and crannies for a few quiet drinks and chats. 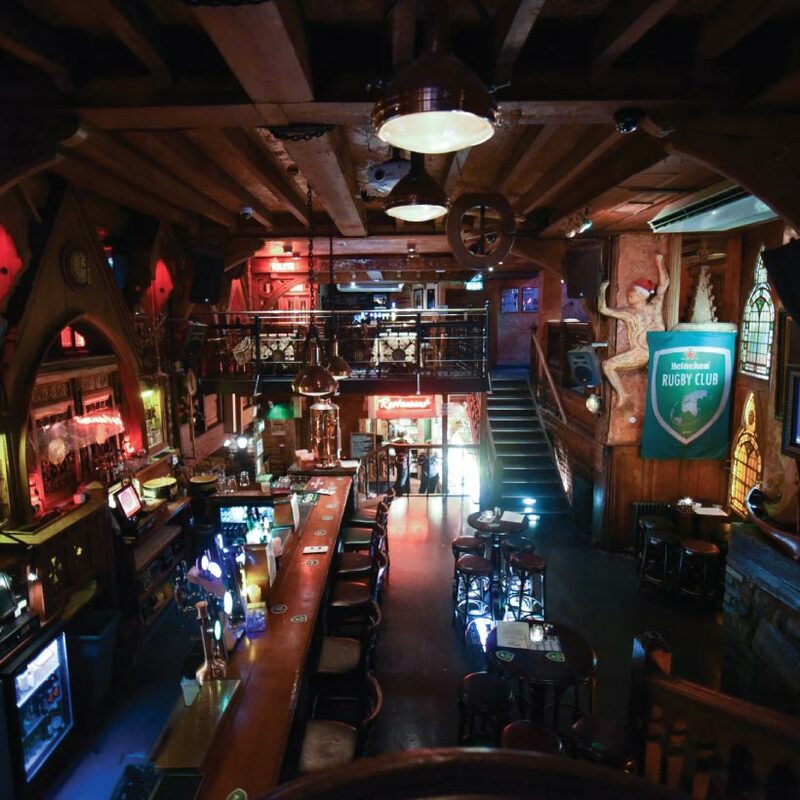 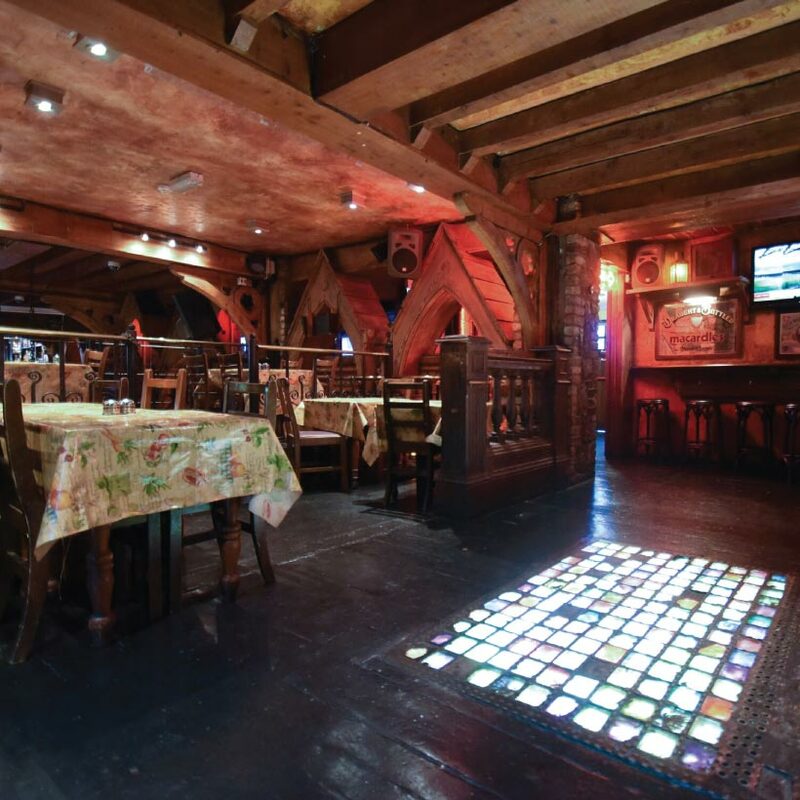 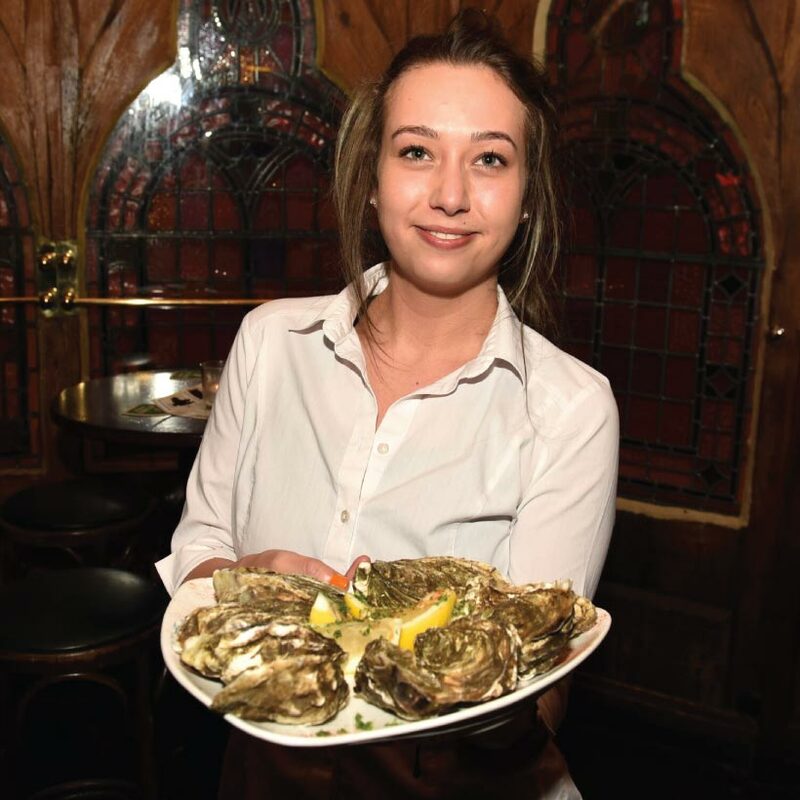 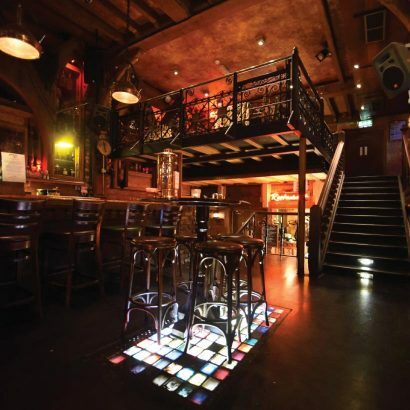 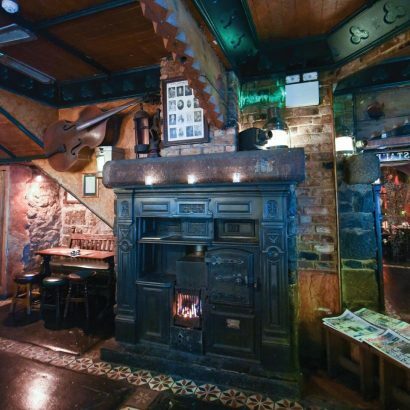 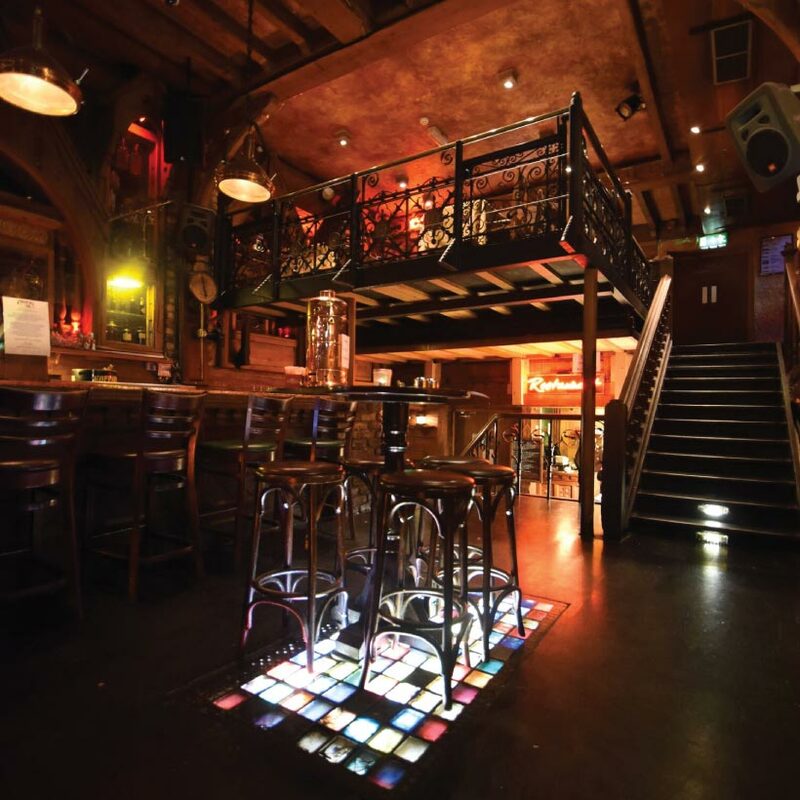 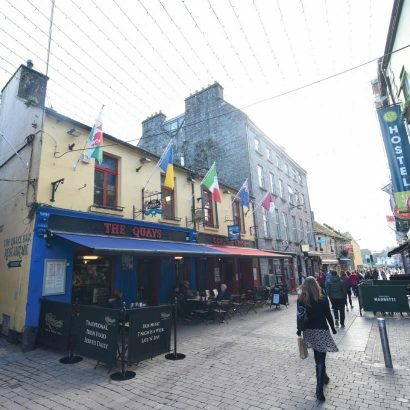 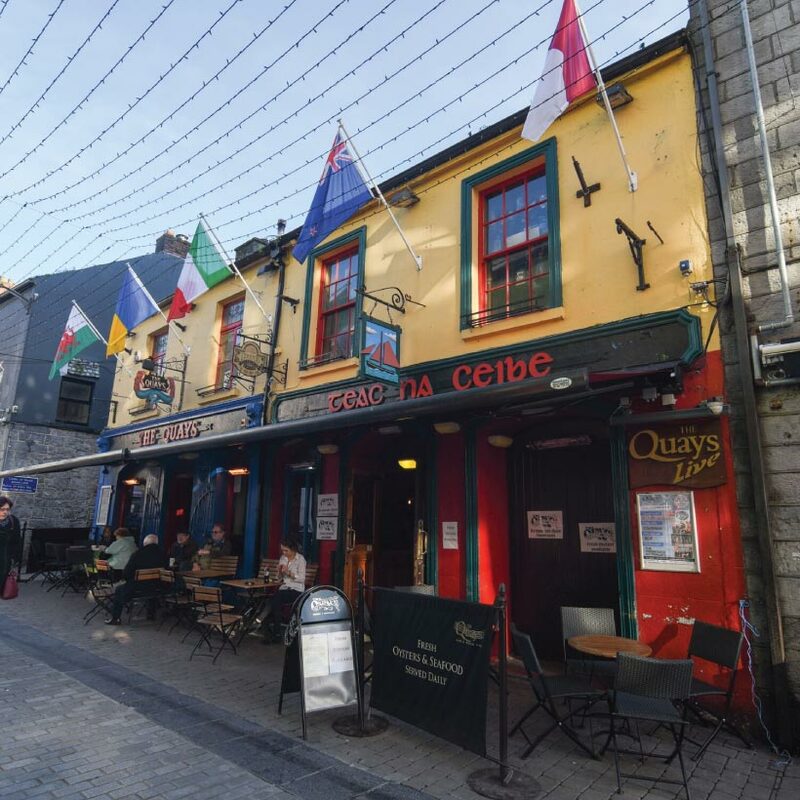 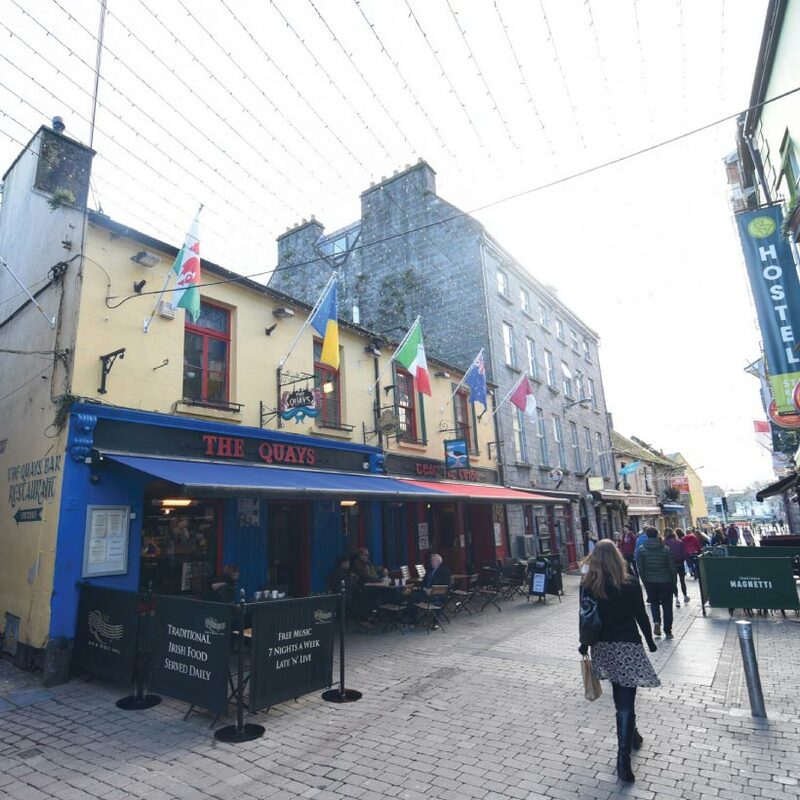 And as one of Galway’s premiere live music bars, with a mezzanine stage and a glowing dance floor (really), it’s also the perfect spot for a proper night out! During the summer, international and local acts play the stage seven nights a week. 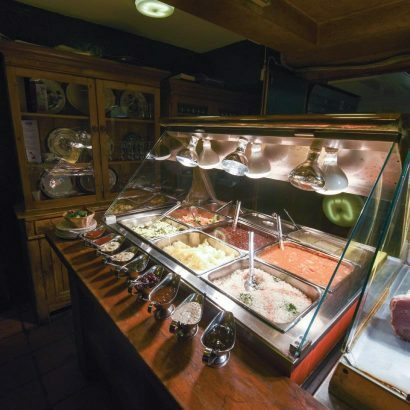 They also serve food in the downstairs restaurant, so pop in for a coffee, lunch, or an a la carte dinner. 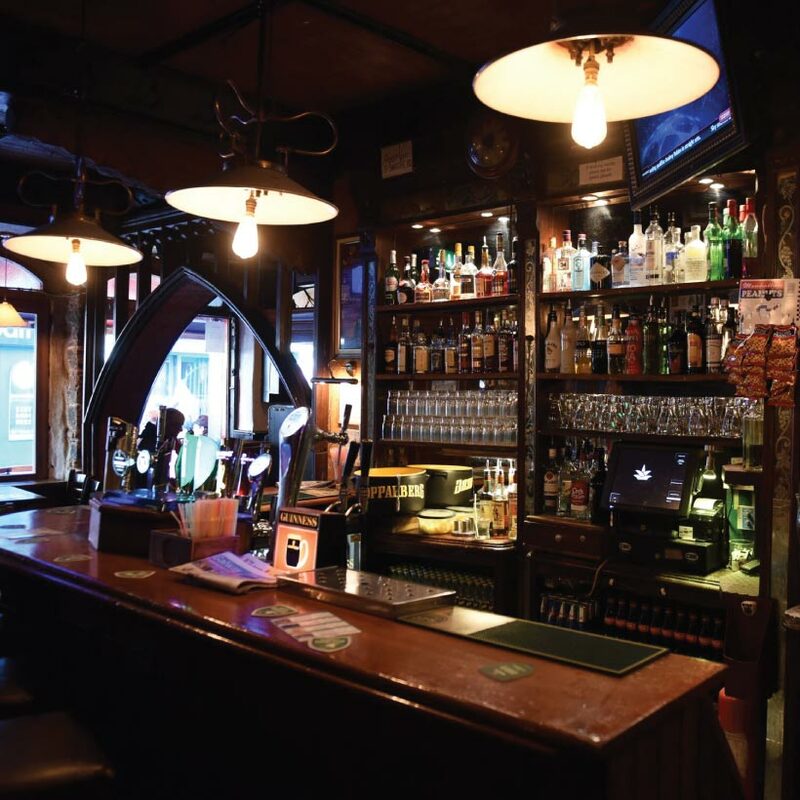 Hours : Monday to Saturday: 10:30 to 2:30 | Sunday: 12pm to 12am.